When do I wean my baby from wrapping? Wrapping is a useful tool for settling and keeping babies safe when sleeping in the first 5-6 months of life. Wrapping also reduces crying time and promotes sleep by lessening the frequency of spontaneous arousals or the moro reflex or startle reflex. This normally disappears by the time a bub is 4-5 months of age, but I have seen it occur longer especially in the case of premature babies or multiples. So when is the right time to wean from wrapping? SIDS recommends when your baby is rolling from their back to their tummy and their back again during supervised play. This is when being wrapped can prevent a baby from rolling from their tummy during sleep, back onto their back again. So if this is happening in your household now is the time! 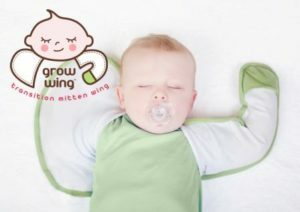 Transitioning from swaddle to sleeping bag for some babies can require up to a week of lots of support, patience and reassurance to help your baby get through this new phase and learn how to fall asleep without his or her arms being restrained. I always recommend introduction of a comforter of some type before transitioning and even a few days of practice rolling in the new sleeping bag, not at sleep time, so the baby can begin to experiment with their new found freedom. 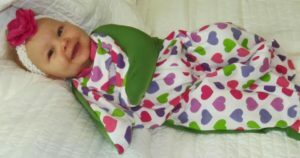 Begin the transition by swaddling with one arm in and one arm out for three days and then both arms out for three days. 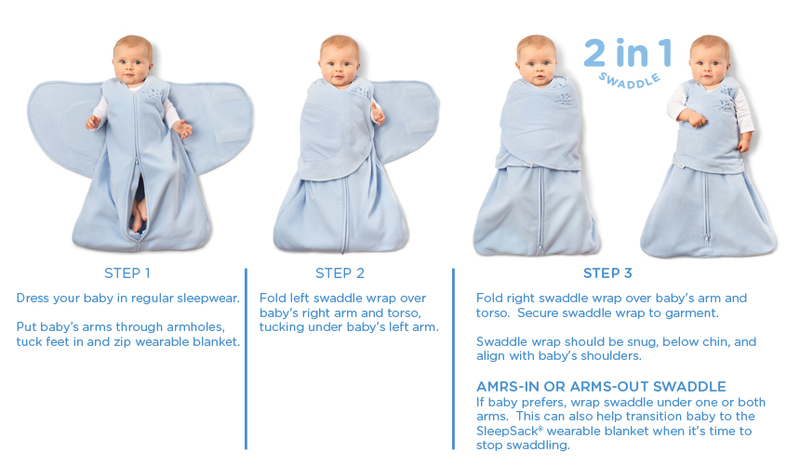 Swaddling with one arm out allows the baby to use one arm to lift his face and head from the mattress if he does roll. Often I suggest with transition during the bedtime sleep to begin with, as often once the baby has night sleeps sorted then to begin with the day sleeps. Prevention of over tiredness being the key. 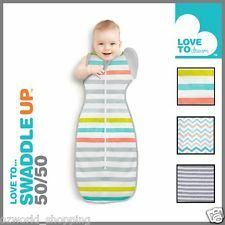 It is absolutely fine to adopt a “what ever needs” approach to settle for a few days such as patting, stroking or rocking your baby’s body back and forward with your hand (in the cot) for a few days to help him adjust to the lack of swaddling. Aim to be to reduce the touch and wean off this assistance, once your baby begins to settle easier, so that these do not become new assisted sleep associations. It is best to use methods of settling in the cot rather than picking up and swinging and rocking to sleep as it is usually easier to gradually withdraw and wean off from in-cot settling methods. You can get the transition from birth like the Halo Sack. 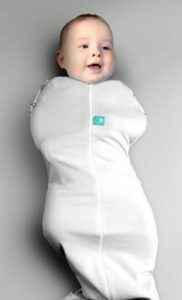 OR then can have the all in one sleep sacks like the Zippadee Zip Sleep Sack. OR you could try the Sleepy Wings! So no matter what product you choose to implement be mindful of the tog/ temperature of the product and plenty of time with your bubba rolling to practice his or her new found skill! https://groovybabies.com.au/wp-content/uploads/2015/12/wrapped-baby.jpg 498 1024 Amanda Bude http://groovybabies.com.au/wp-content/uploads/2018/02/header.png Amanda Bude2015-12-02 12:36:292015-12-02 12:36:29When do I wean my baby from wrapping?